Recharge areas are those areas that provide the primary means of replenishing groundwater. Good natural recharge areas are those where good quality surface water is able to percolate through the sediments and rocks to the saturated zone which contains groundwater. If recharge areas cease to function properly, it will limit groundwater replenishment and/or groundwater quality for storage or use. Protection of recharge areas requires a number of actions based on two primary goals: (1) ensuring that areas suitable for recharge continue to be capable of adequate recharge rather than being covered by urban infrastructure, such as buildings and roads, and (2) preventing pollutants from entering groundwater to avoid expensive treatment that may be necessary prior to beneficial use. Protection of recharge areas is necessary to maintain the quantity and quality of groundwater in the aquifer. However, protecting recharge areas by itself does not provide a supply of water. Recharge areas are functioning properly when aquifer storage capacity is available, sufficient permeable surface is present, and the adequate supply of good quality water to recharge the aquifer is available. 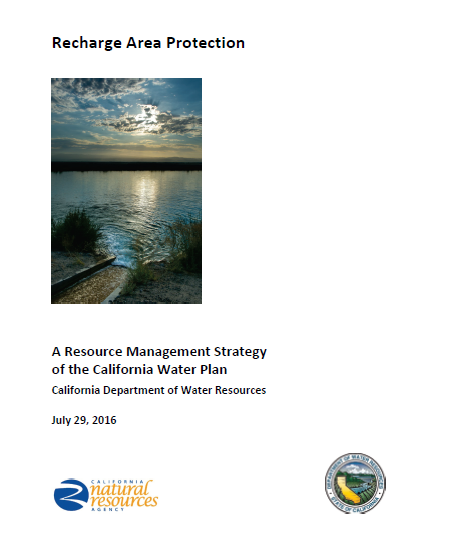 Protecting existing and potential recharge areas allows them to serve as valuable components of a conjunctive management and groundwater strategy. Historically, groundwater has been pumped as needed in many areas of the state, often with little regard for the deleterious effects of over pumping. Over pumping is not sustainable in the long-term and can lead to a number of adverse consequences, including water-quality degradation; increased energy costs for groundwater pumping; costs for well deepening or replacement; impacts to nearby rivers and streams; and land subsidence. 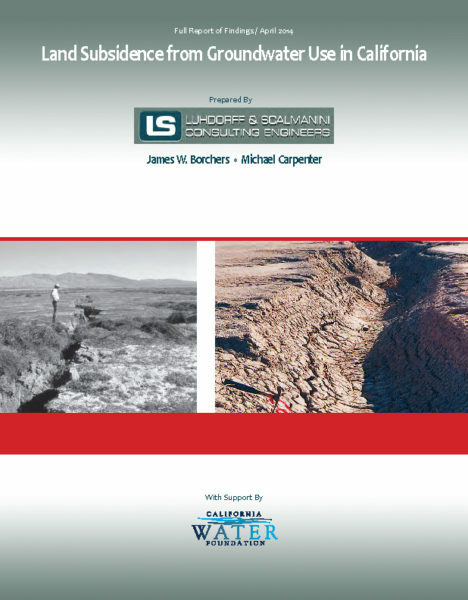 This report highlights the current and historical impacts of land subsidence in California due to groundwater pumping and makes recommendations for monitoring and assessment. 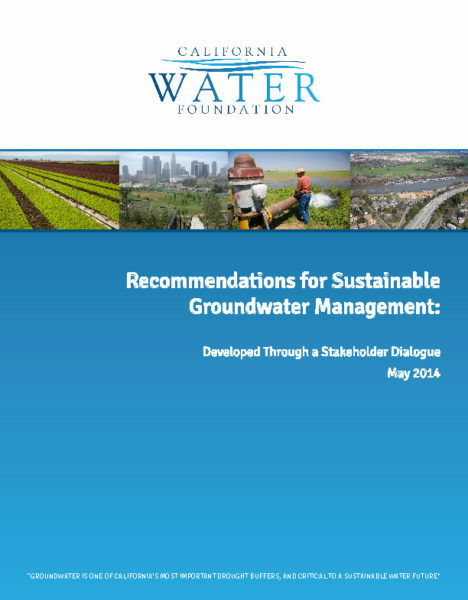 The purpose of this report is to summarize knowledge about the extent and costs of subsidence so that this information can be part of a larger discussion on sustainable groundwater management in California. This report confirms that land subsidence in California is not just an historical occurrence, but that it is an ongoing problem in many regions. The report presents key examples of significant historical subsidence and current active occurrences of subsidence, including the impacts and costs. There is no comprehensive land subsidence monitoring program in California. The information in this report was compiled from individual regional or local studies, which usually were initiated after substantial subsidence impacts had occurred. The most comprehensive evaluation of land subsidence in California occurred between 1955 and 1970, to assist with the construction of the state and federal water projects. Funding for this program ended soon after completion of the state and federal water projects. The lack of comprehensive subsidence monitoring has had costly consequences for the state. In 2001, the California Department of Water Resources embarked on one of the most elaborate public involvement processes in state history. Over the course of five years and 200 meetings, a 65-member Stakeholder Advisory Committee and a 350-member Extended Review Forum worked with agency staff to produce a new water plan for California. The process consumed some 23,000 person-hours in face-to-face discussions alone. 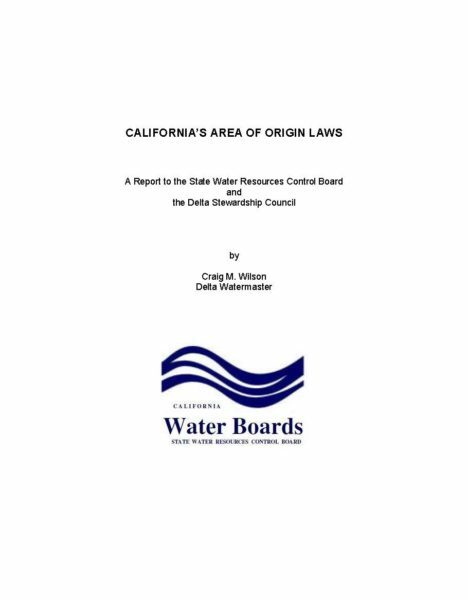 Although the state had been updating its water plan approximately every five years since 1957, the 2005 process produced a dramatically different type of document. For one thing, the 2005 Update is conceptually more accurate, complex, nuanced, and comprehensive. The policy recommendations described in its strategic plan address a broader range of issues—including climate change and environmental justice—yet they engendered somewhat less political controversy than the policies identified in the 1998 Update. 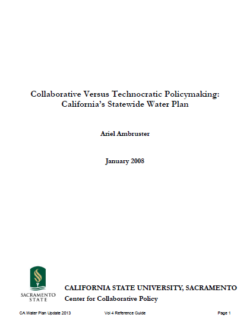 Moreover, there is evidence that the collaborative process used in 2001-2005 catalyzed improvements in the relationships among California's historically warring water stakeholders, and also sparked the beginnings of positive cultural changes within certain quarters of DWR.This research report authored by Ariel Ambruster catalogues the outcomes of the 2005 Water Plan Update process and those of its predecessor, the 1998 Update.